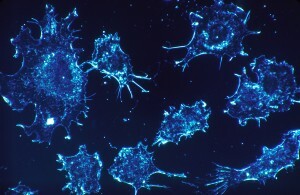 The development of cancer immunotherapy is one of the major advances in medicine. 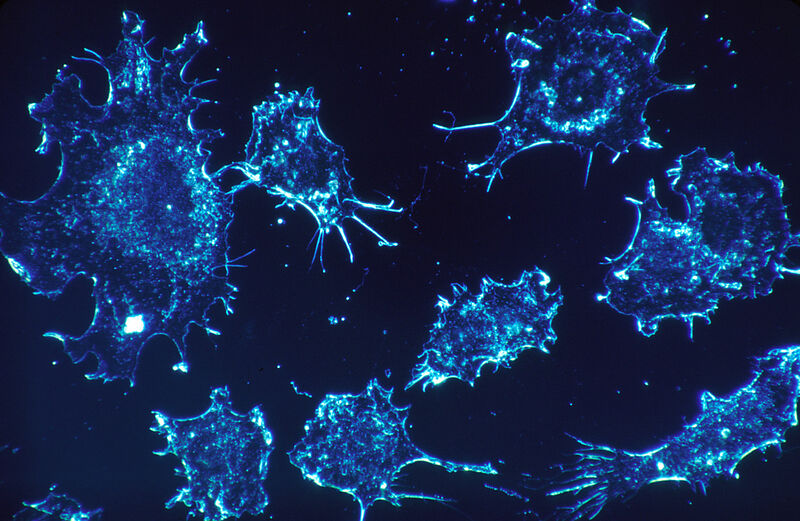 Unlike chemotherapy, which kills the cancer cells directly, immunotherapy enlists the help of the immune system, which then kills the cancer cells. Some forms of immunotherapy use substances called “checkpoint inhibitors”—they block mechanisms that cancer cells use to shut down the immune system. In other forms of immunotherapy, immune cells are removed from the patient, modified in a way that allows them to help fight cancers, multiplied in the laboratory, and injected back into the patient. However, cancer immunotherapy works only for some types of cancer and, even then, only a fraction of patients responds. Now, results from a new study carried out in mice (Eradication of large established tumors in mice by combination immunotherapy that engages innate and adaptive immune responses) shows that the outcome can be improved by using a combination of four different therapies. The combination activates both innate and adaptive immunity, resulting in a coordinated attack that leads to the complete disappearance of large, aggressive tumors. The combination therapy consists of four components: an antibody targeted to the tumor; a vaccine targeted to the tumor; the cytokine IL-2; and a molecule that blocks PD1, a receptor found on T cells. Each of these molecules plays a critical role in enhancing the overall immune response to the tumor. Antibodies stimulate the recruitment of additional immune cells that help to activate T cells; the vaccine stimulates proliferation of T cells that can attack the tumor; IL-2 helps the T cell population to expand quickly; and the anti-PD1 molecule helps T cells stay active longer. The researchers tested the combination treatment in different strains of mice that were implanted with melanoma, lymphoma, and breast cancer—three different types of tumors able to suppress the immune response directed against them. 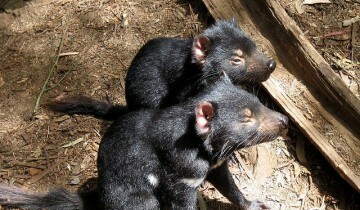 They found that in all strains of mice, about 75 percent of the tumors were completely eliminated. After six months, the researchers injected tumor cells into the same mice. They found that the mice’ immune systems were able to completely clear the tumor cells. Thus, the combination therapy allowed the immune system to “remember” the target and destroy new cancer cells that appeared after the treatment ended. The immune system components responsible for the regression of large, established tumors were CD8+ T cells, cross-presenting dendritic cells, and several other innate immune cell subsets. The combination therapy induced infiltration of immune cells and production of inflammatory cytokines in the tumor, enhanced antibody-mediated tumor antigen uptake, and promoted antigen spreading. There are many types of cancer that effect the human body. In the paper, “Final Common Pathway of human cancer immunotherapy: targeting random somatic mutations,” the authors research the way T-cells find the cancer cells and why it works so well. Taking the different parts of immunotherapy apart, target therapies including different whole antigens and overproduced proteins are used to discover what the pathways have in common to illicit an immune response. Utilizing these CD8 T-cells is what all cancers have in common in their ‘final pathway.’ If we were to utilize the PD1 and IL-2 like stated above to extend the life span of the CD8 T-cell, many more cancers could be targeted and clinical outcomes could be improved by shortening the necessary treatment time. With the discoveries of the neoantigens and the specific T-cells that target them gives direct evidence that there might be a final common pathway of all cancers that can be utilized to combat them. Neoepitopes are antigens released by the cancer cells in the tissues that are being newly targeted for their mutations in their genomes. By being able to only target these specific neoepitopes with very specific MHC complexes the immunotherapies can target only tumor tissue without effecting healthy resident tissues as seen in different whole antigen and overproduced protein targeted therapies. 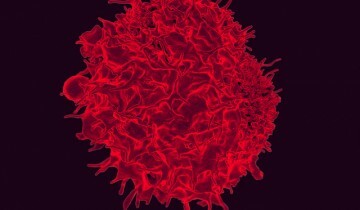 Although the Il-2 and PD1 therapy component is only available for certain cancer types as of now, figuring out the pathway of detecting these neoepitopes and being able to keep the effector T-cells alive longer to combat the tumors is the key to expanding this therapy to more types of cancer. This could ultimately lead to production of a synthetic receptor to bind to the neoepitopes to mimic a CD8 T-cell to inhibit the growth of the tumor. One of the step in this combination immunotherapy is to block the PD-1. Programmed cell death protein -1 ( PD-1) is a cell surface receptor that play role in immunoinhibitory activity by suppressing the T-cell activation which will lead to tumor progression. PD-1 overexpression is close associated with poor clinical outcomes in some types of cancers such as gastric cancer, ovarian cancer and bladder cancer, etc. PD-L1 is a PD-1 ligand on the surface of the tumor cells that responsible for T cell- mediated immunity. In normal tissue, PD-1 signaling pathway play an important role in immune activaty regulation by decreasing damage to adjency tissue and preventing autoimmute response to self-antigen. However, many tumors cells use this to escape from other immune cells. The binding of PD-1 and PD-L1 resulting in the formation of PD-1/TCR inhibitory microcluster that shut off T-cell activation by inducing apoptosis, reducing proliferation and cytokines secreting inhibition. Therefore, during the immunotherapy, inhibit the formation of PD-1/TCR microcluster by targeting the PD-L1 or PD-1 can enhance the T-cell’s ability to attacking tumor cells. mAbs is an antibody that targeting in PD-1 or PD-L1 to block the PD-1/PD-L1 pathway. Thus, it’s widely used in different clinical therapy and generating positive clinical outcomes. However, the PD-1/PD-L1 therapy also have some limitations that doesn’t work very well in some types of cancer. Moreover, this therapy also generate variation results in different patients that have the same kind of cancer. Therefore, future study is needed for improvement of the therapy. When first reading the information presented in this post, I found it a bit alarming to use four different components in a therapy to combat cancer. It seemed like it would be difficult to transfer this therapy over to humans because there are so many components and variables that would need to be taken into consideration. The researchers from the study even expressed their concern about this. In another study conducted by Foy et al., they used MVA-BN-HER2 (a poxvirus-based immunotherapy) along with PD-1 and LAG-3 dual immune checkpoint inhibition to destroy tumors in mice models. Combination therapy with these three elements resulted in tumor regression in all mice that were treated. There was also a memory immune response demonstrated from this study. The point I am trying to present here is that it would probably be safer for patients to use combination therapies with fewer components, as they are available. The study from the article states that combination immunotherapy can reduce and overcome large immunosuppressive tumors. Chemo-Radiotherapy leads to primarily physical symptoms that make it a less desirable treatment. (1) Immunotherapy has the benefits of causing less adverse symptoms. The study from the article states that a combination immunotherapy is used. An antibody targeted to the tumor; a vaccine targeted to the tumor; the cytokine IL-2; and a molecule that blocks PD1, a receptor found on T cells. However, the problem is if it is cost effective and will be desired by patients when compared to radiotherapy that is a one step process. A solution to this would be reducing the number of required recombinants. However, reducing the number of recombinants has been shown to cause a less effective treatment. In the study, “The basics of CAR T design and challenges in immunotherapy of solid tumors – ovarian cancer as a model.” , it is determined that immunotherapy is less effective in solid cancers such as ovarian cancer. (2) A better solution would be a type of therapy that incorporates less steps. A two step process that is stated in the study, “Combination of Photodynamic Therapy and Specific Immunotherapy Efficiently Eradicates Established Tumors.” states that a combination of light and immunotherapy can destroy tumors. (3) This could be another alternative to using radiotherapy or a combination of four immunotherapies. I must say that this a new, innovative way to combat cancer. I wish my dad could’ve had a chance to try this treatment out, instead of having to suffer through chemotherapy and different surgeries. The question is that would the treatment have worked for him? Considering that it doesn’t work on all cancers, or for everyone. The traditional methods to cure cancer are directly destroying and inhibiting the tumor cells, but these methods only have modest improvements. One study discussed that the immune system played an important role in the recognition and eradication of tumor cells, so immunotherapies which are based on the acts of the immune system in eradicating cancer could as a method to treat cancer. The immune checkpoint inhibitors is a potential method to diversity cancers. Especially, the CTLA-4 and PD-1 immune checkpoint inhibitors give tumor repression and extended survival an opportunity in solid tumor types. T-cell responses need a checkpoint complex balance and activating signals. Tumors may use checkpoint and the pathway of activating signals to inhibit T-cell activity, and to limit antitumor immune responses. The checkpoint inhibitors are designed to improve patient’s own antitumor immune response, it has the ability to develop durable immune memory, so it explains this therapy will be likely to give a long-term survival. The immunotherapies maybe become the base of cancer treatments in the future. Chemotherapy, although proven to be efficient, also comes with its side effects. it functions in destroying cancer cells, but at the same time, also destroying other benign healthy cells, leading to the patient experiencing more severe symptoms. The use of immunotherapy to kill large tumor cells with the help of the immune system is showing success. This makes me wonder how long this method has been around for. With the reseults stated in this article, immunotherapy might just be the breakthough that cancer pateints across the globe has been waiting for ages for. With that being said, the side effects of immunotherapy also need to be studied as well. I’m sure this comes at a risk for its patients. Hopefully the good outweight the bad in this case. The process of modifying immune cells and injecting them back to the patient is indeed time consuming. Therefore, chemotherapy has an advantage over immunotherapy when it comes to the time required to start the treatment after being diagnosed with cancer. In addition, immunotherapy is not the perfect treatment in sever cancer patients due to the time period required before starting the treatment. According to a research published in early 2017, the best treatment for cancer involves a combination of chemotherapy and immunotherapy. This combination treatment increases the survival rate of the patient and is considered to be an effective and non-time consuming treatment1. Chemotherapy is a widely used means of combating cancer; although it can be effective, it is also a treatment option that is often brutal to the patient as it is a rigorous process that can kill noncancerous cells as well. Combination immunotherapy sounds like a more therapeutic means of combating cancer to me as the immune system is further elicited to do its job of fighting unwanted agents in the body. The article discusses the use of four different methods of targeting the tumor. While this seems like an excellent idea, the treatment was done on mice who tend to be much simpler to deal with than humans. However, employing these different techniques could prove to be far more difficult to successfully administer in humans thus I am more interested in hearing about the effect of these combined immunotherapies on humans. Also, I want to know the reasoning behind why 25% of the mice did not respond successfully to the treatment? Moreover, there are other immunotherapies that can be combined with such as targeting the MAPK and PI3K pathways (1) and they should be looked into in further combined immunotherapy research. The one thing that scares a lot of patients regarding cancer is often the treatment used, known as chemotherapy. Chemotherapy used targets both the disease (cancer) and also the healthy cells including immune cells which sole purpose is to help the body to fight foreign pathogens and also cancer. In this article, immunotherapy is introduced as a treatment for eliminating large tumors and providing protection for future encounter of the same cancer as seen in the rat’s experiment. Besides activating immune cells, exvivo (outside) expansion of antigen presenting cells can also be done and then re-introduced in the body in those cases when the cancer cells shuts down our immune system to evade killing. Although this treatment does not apply to all types of cancer it however can be exploited. We know for a fact that our immune system besides the fact that it destroys, kills, and phagocytizes the foreign pathogen; it also regulates itself in knowing when to stop to avoid destruction of healthy cells which is not an option in chemotherapy. I wonder exactly what is needed in order to expand this mode of treatment (immunotherapy) in other types of cancers.